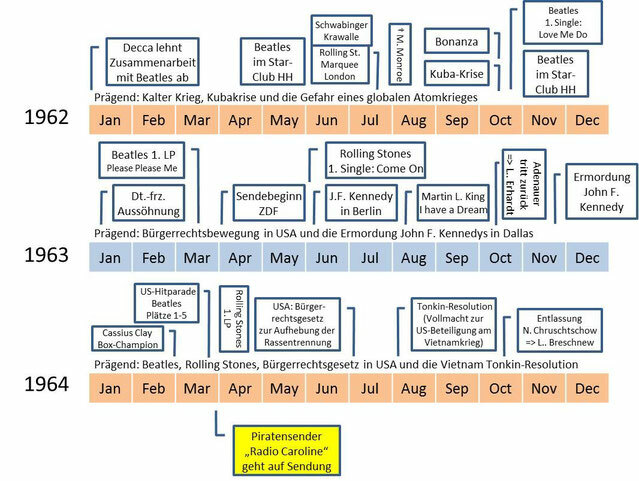 "The British Invasion" wird der Zeitraum von 1960-1966 in der Geschichte der internationalen Pop-Musik-Kultur genannt. 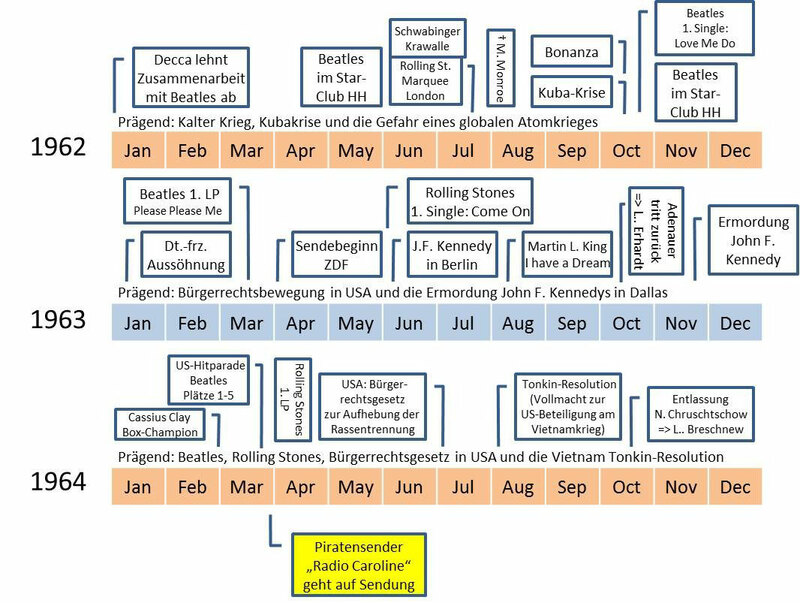 Zuvor dominierte die USA mit Jazz, Swing und Blues und - ab 1955 - mit dem Rock'n'Roll die musikalische und soziokulturelle Weltbühne. 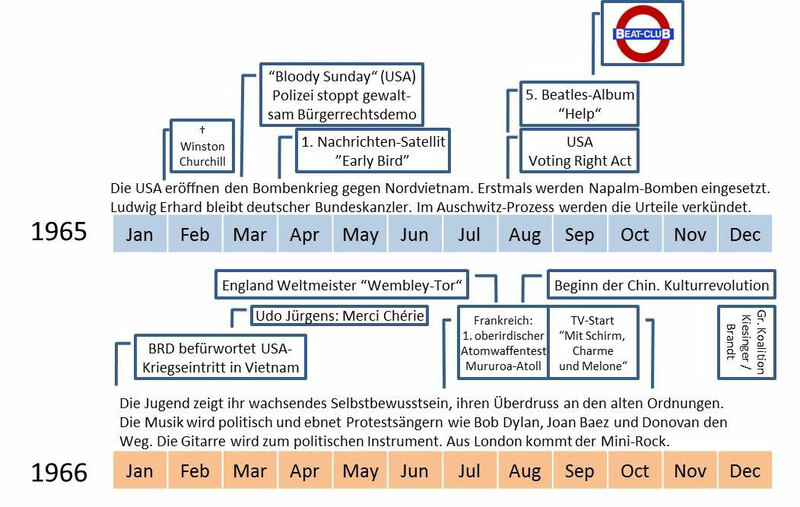 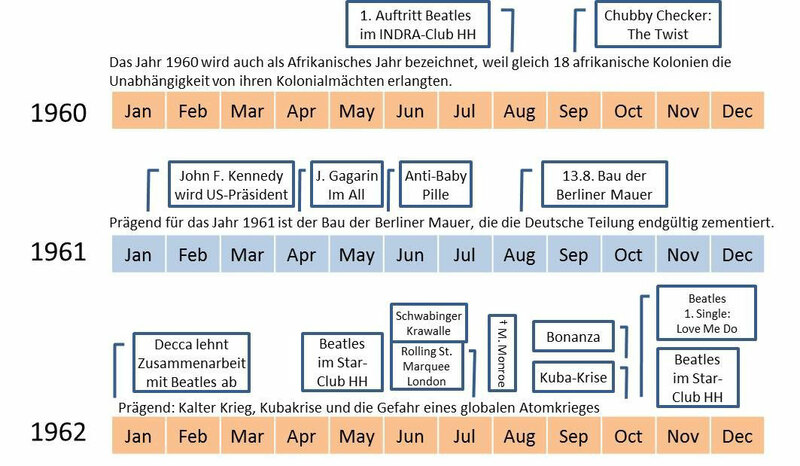 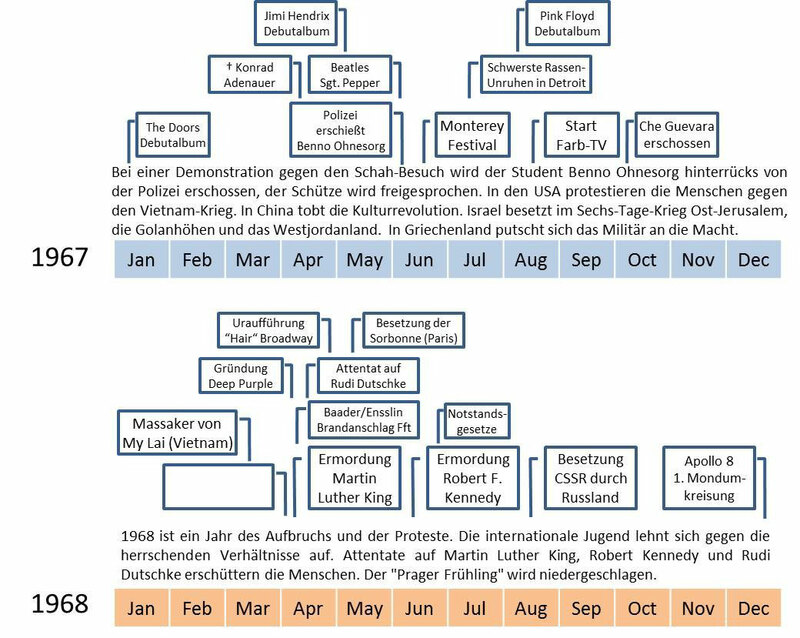 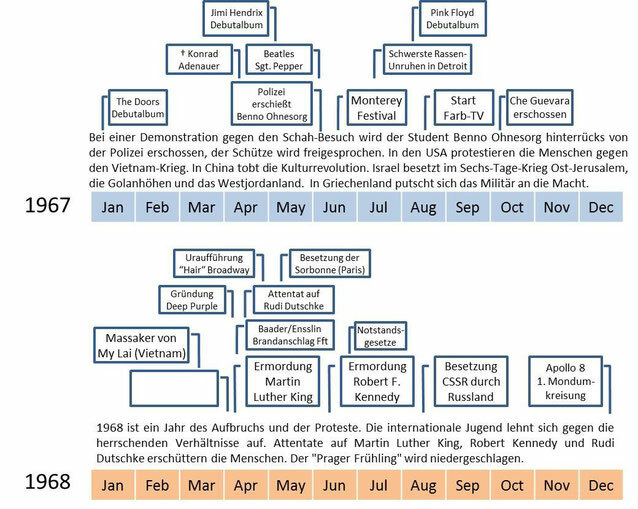 Die Musik der Beatles ab 1962 war die Initialzündung für revolutionäre musikalische und gesellschaftspolitische Entwicklungen in den 60er Jahren und danach - und das international. In the history of international pop music the time between 1960-1966 is called "The British Invasion". 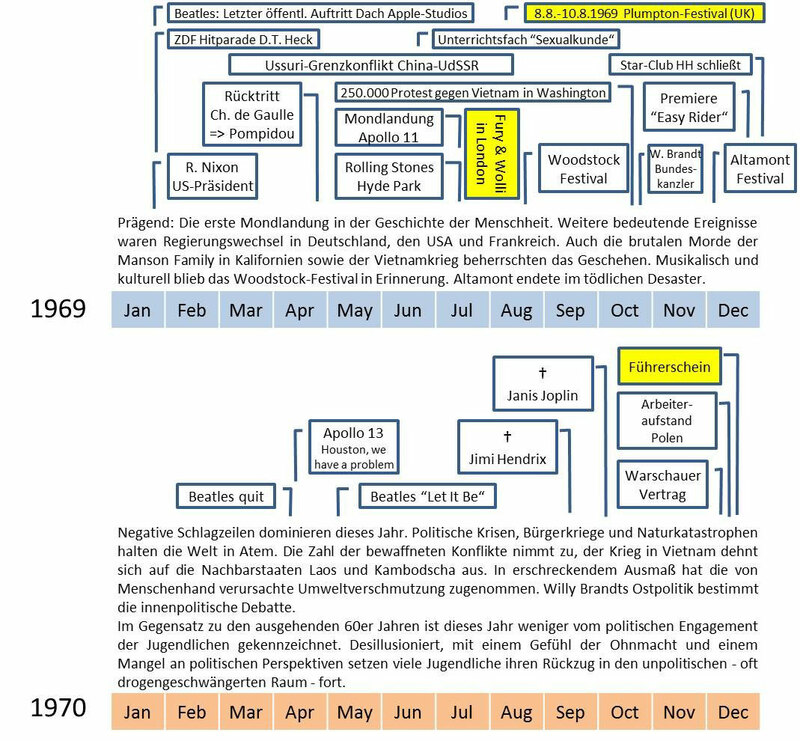 Before, the USA dominated the sociocultural way of life and popular music (Jazz, Swing, Blues, Rock'n'Roll). 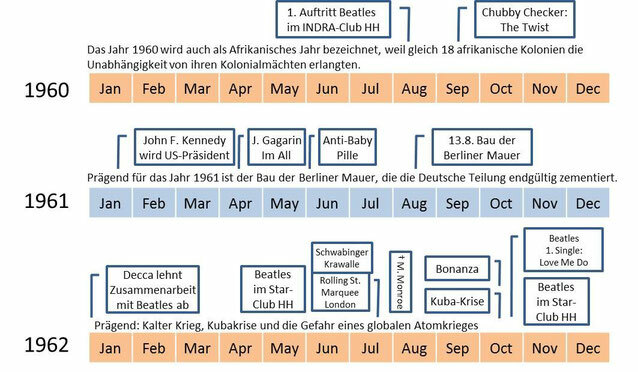 Effective from 1962 the music of the Beatles was the booster for the revolutionary development in the 1960s and the years after - worldwide. With the documentation below I try to give us a chronological survey of major music and political influences.